East St. Louis in the forties and fifties was a town where night crawlers usually ended up after bars closed across the river in St. Louis. It was devoid of closing hours, rowdy and in possession of an inordinate amount of clubs that, logically, presented live music. R&B in particular, East St. Louis wasn’t necessarily a jazz place, but big names regularly came and went. Duke Ellington, as we know, wrote a frolic piece about it called East St. Louis Toodle-oo. It was there that Jimmy Forrest, Grant Green and Elvin Jones met in the mid-fifties. By the way, Forrest and Green shared more than friendship and musical taste. To paraphrase Lou Reed, they were regularly waiting for the man with 26 dollars in their hands. Now I’m not saying their camaraderie is the reason their Delmark endeavor may be judged favorably. 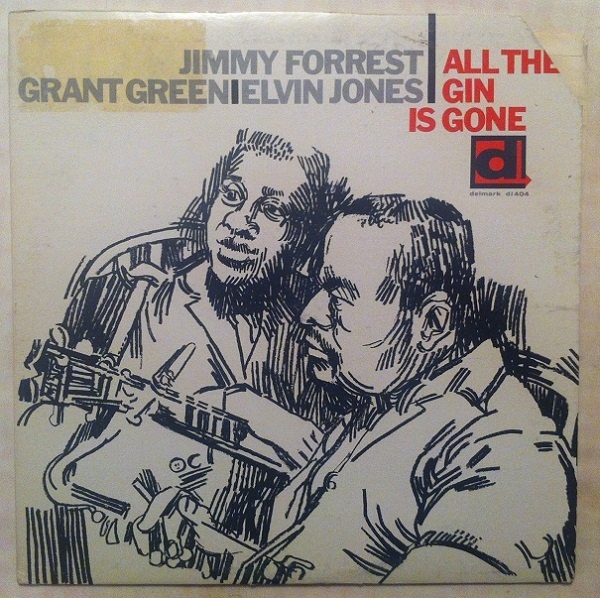 First and foremost, All The Gin Is Gone is worth a good listen because these men eloquently bring forth a be-boppin’, uptempo blues. This is not the world of decanters and double-breasted tweed, but that of moonshine spilled on woodboard floors that have more holes than Swiss cheese. 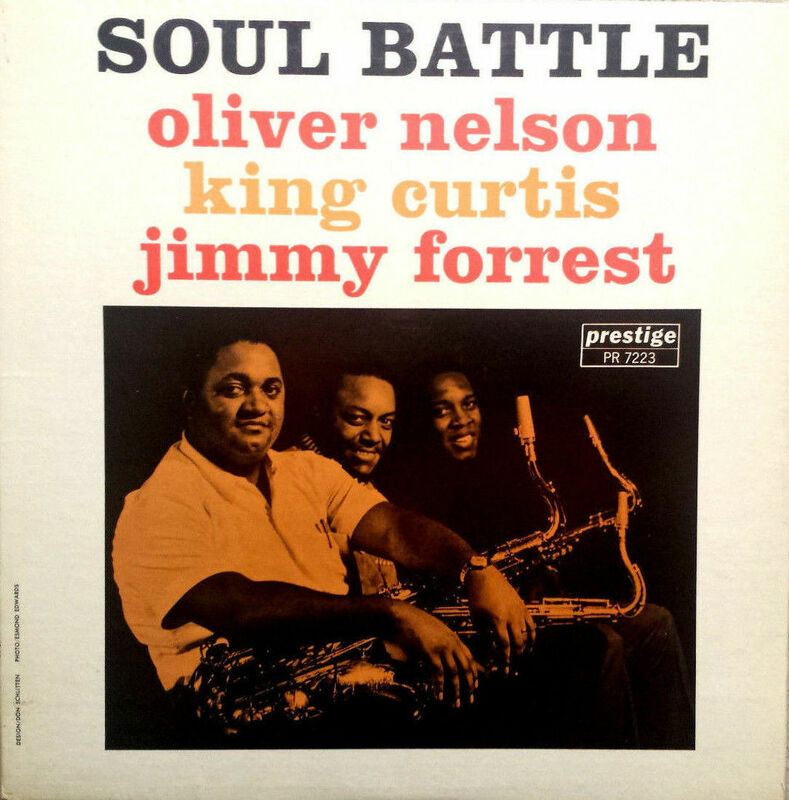 Jimmy Forrest had a wonderful career that goes way back; played with Fate Marable, Ellington, Miles Davis, was a sought-after freelancer and, eventually, spent a big part of the seventies in Count Basie’s front line. Forrest did duty on the r&b train and is remembered for 1952 smash hit Night Train. It should be no surprise that a pro like Forrest pulls of ballad What’s New in such a lyrical and in-your-face manner as to leave the ghost of Don Byas breathless. But it was. The band swings comfortably and effortlessly. 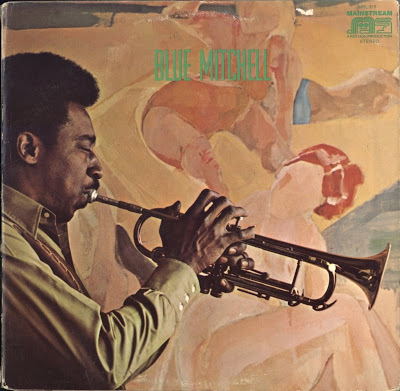 Forrest has a gutsy sound and his play is stirred up by Elvin Jones; never shy with raucous fills and cymbal clashes, Jones nevertheless demonstrates an uncanny ability to swing lightly on Laura. December 10, 1959 marks Grant Green’s first recording date. It’s pretty remarkable to witness that Green’s singular style was already in tact.